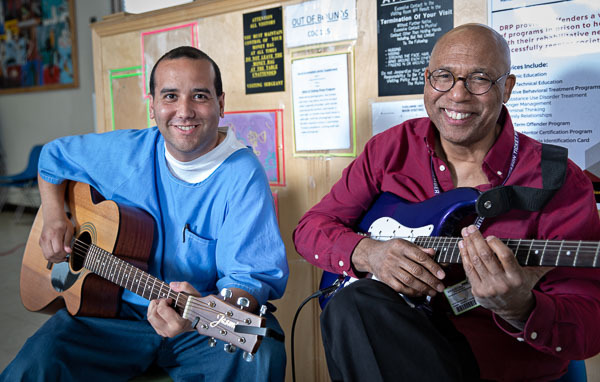 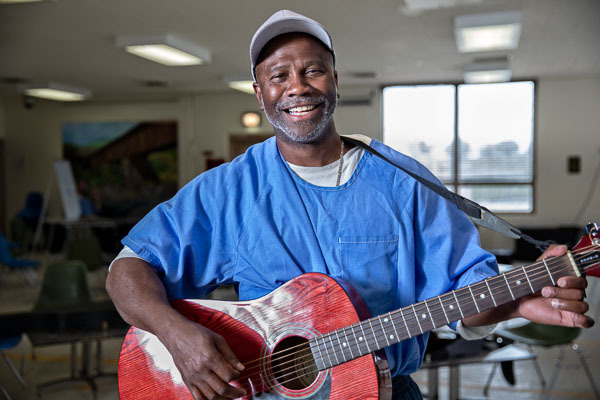 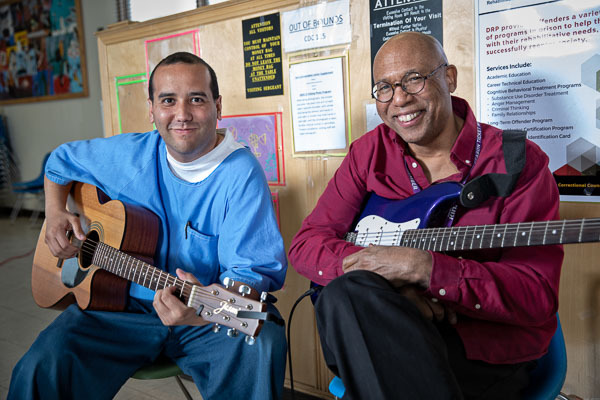 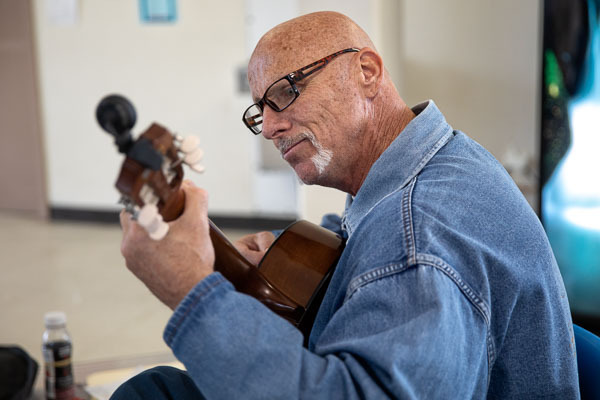 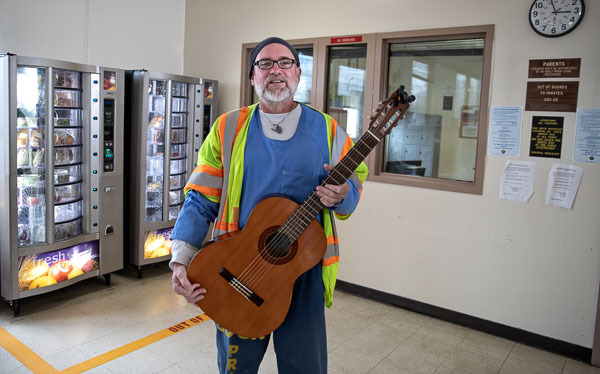 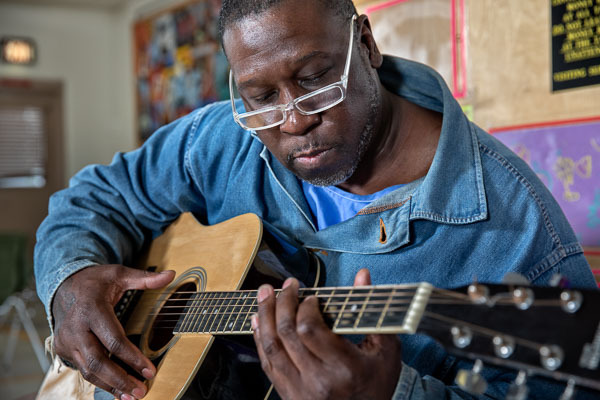 The guitar class is taught by Henry Robinett; he is sponsored by the William James Association. 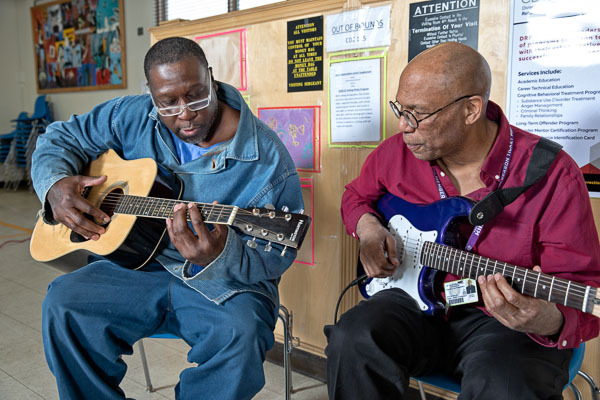 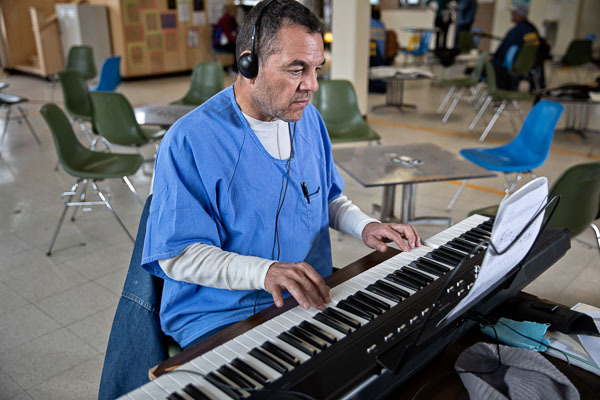 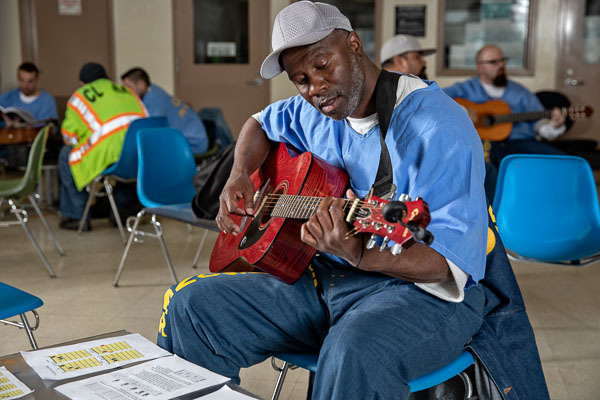 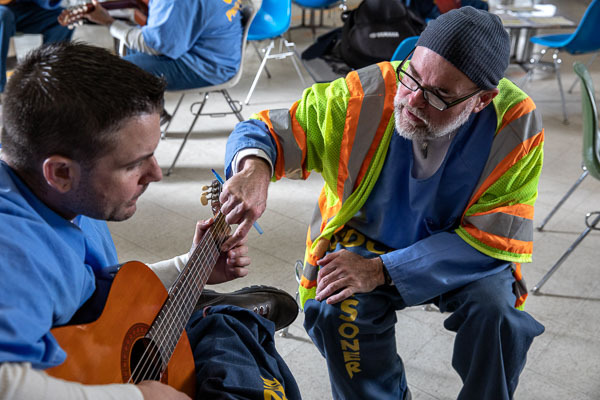 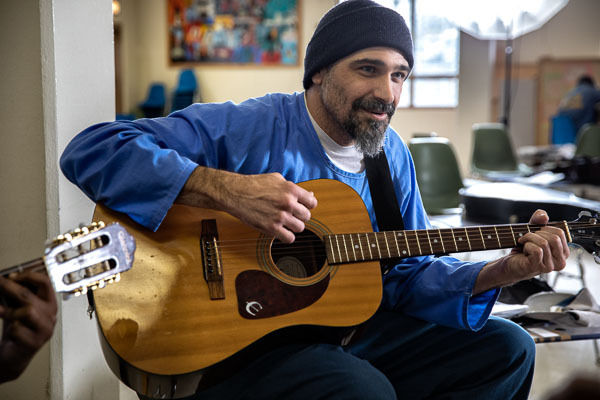 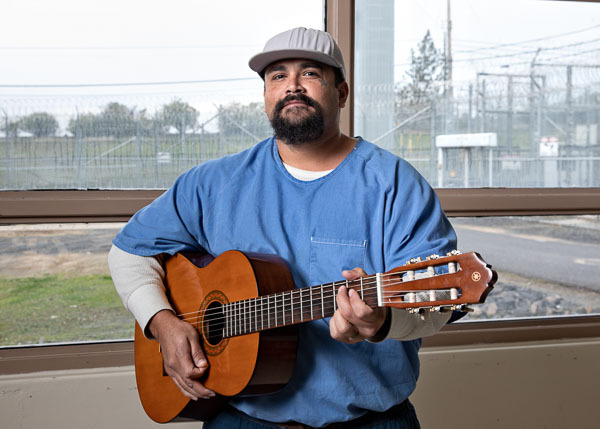 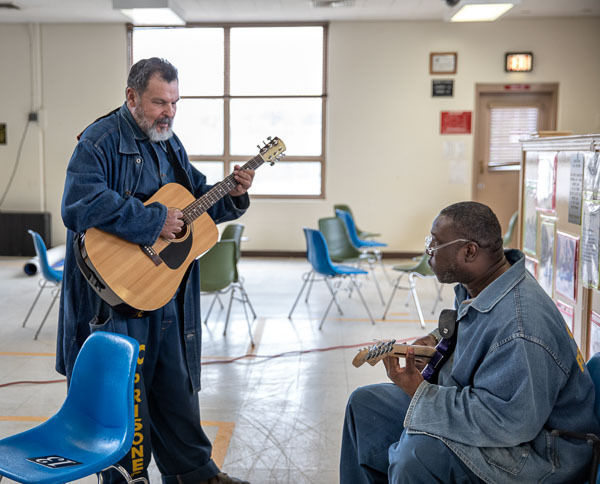 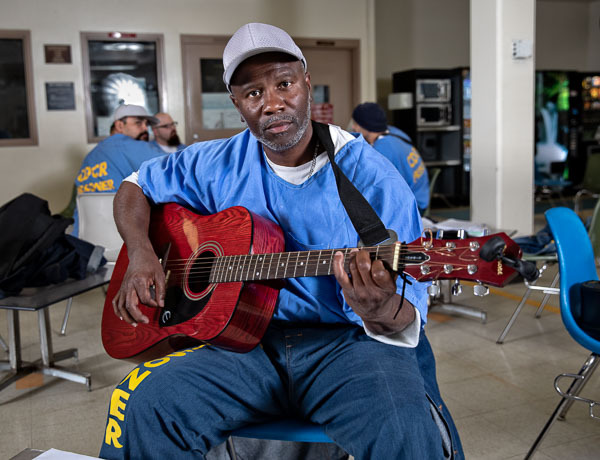 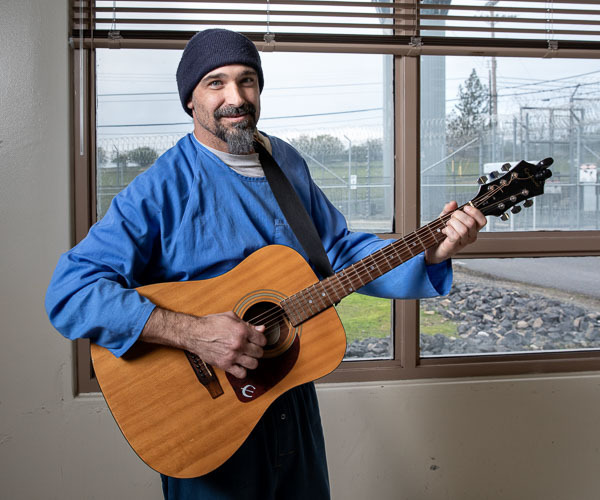 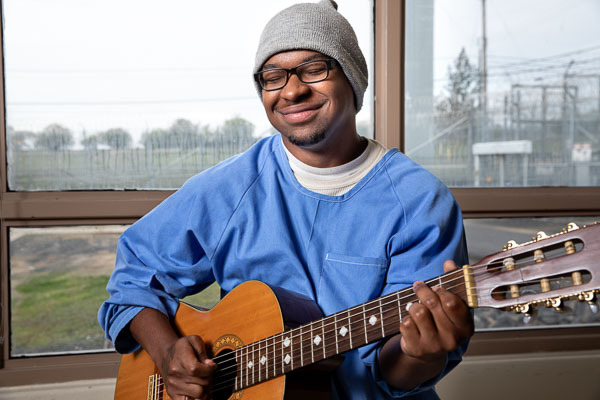 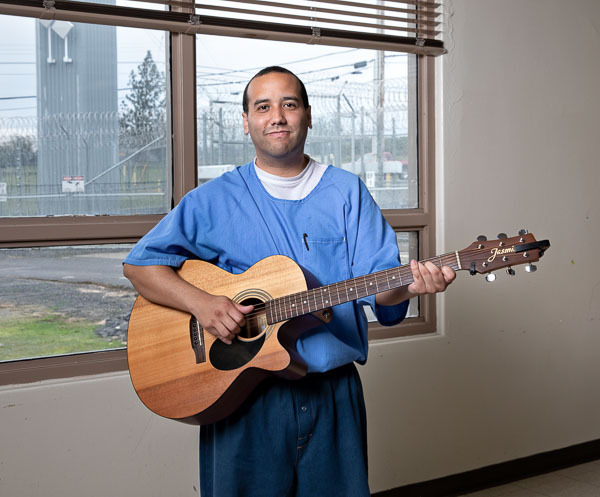 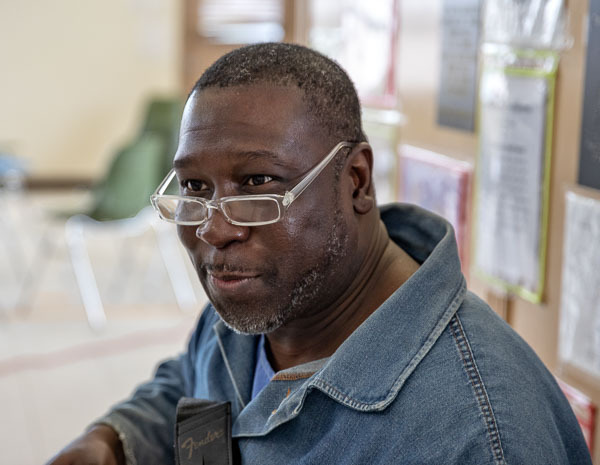 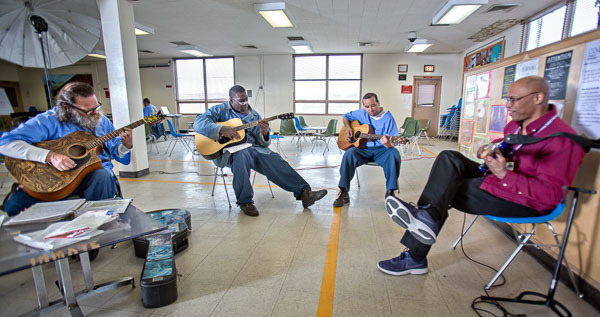 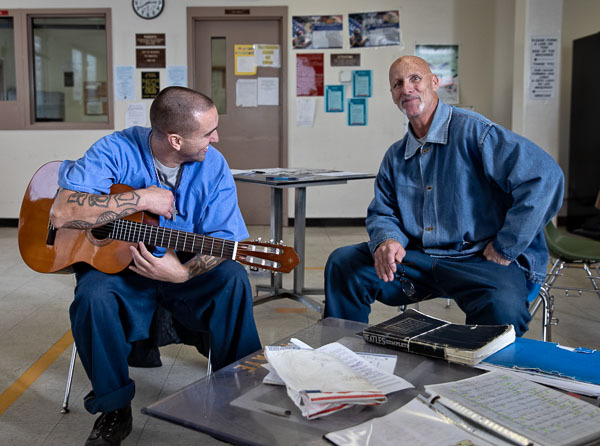 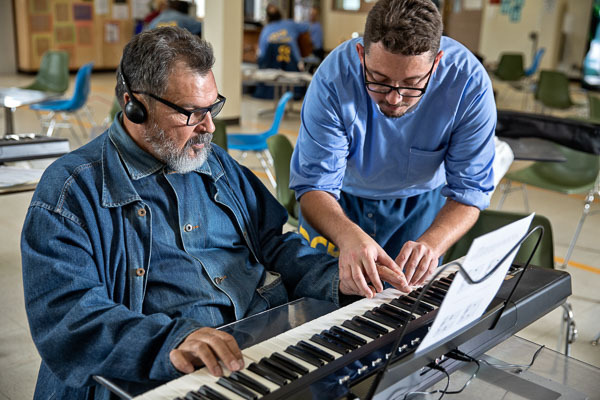 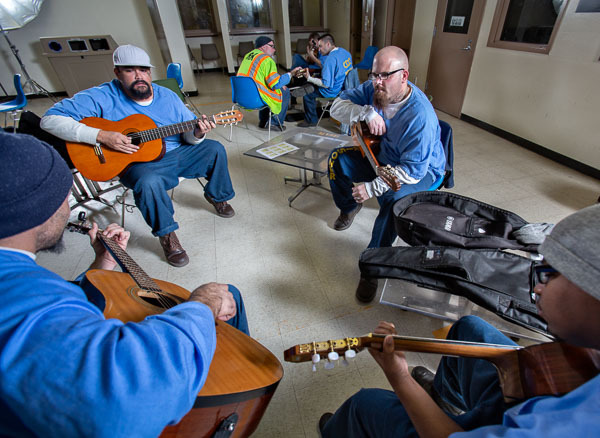 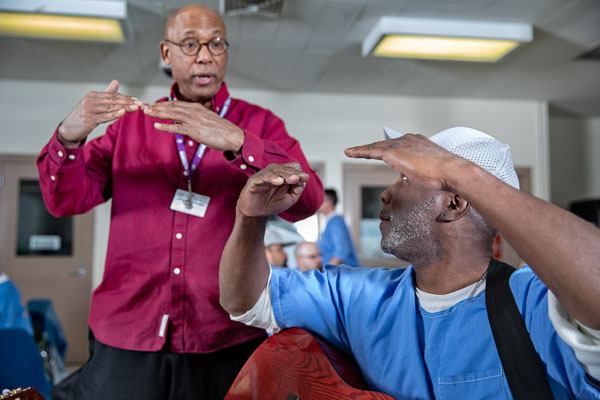 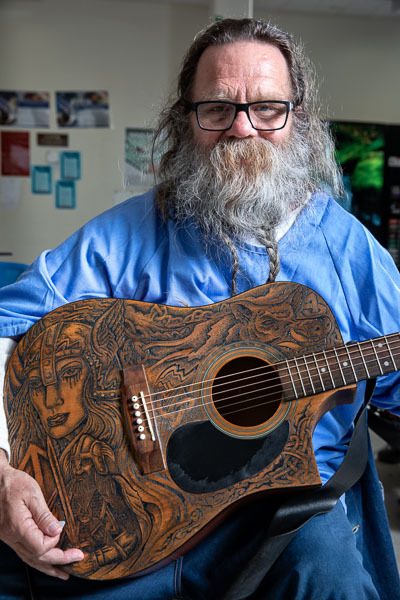 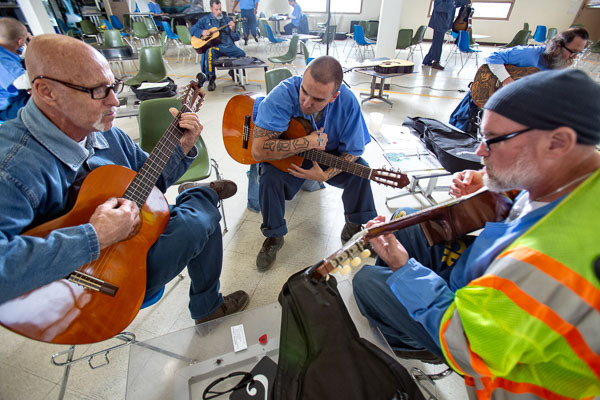 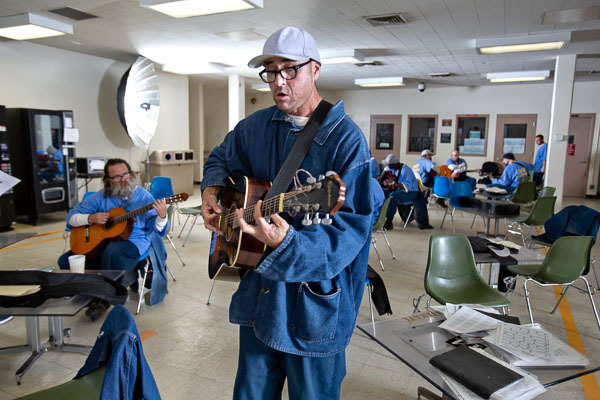 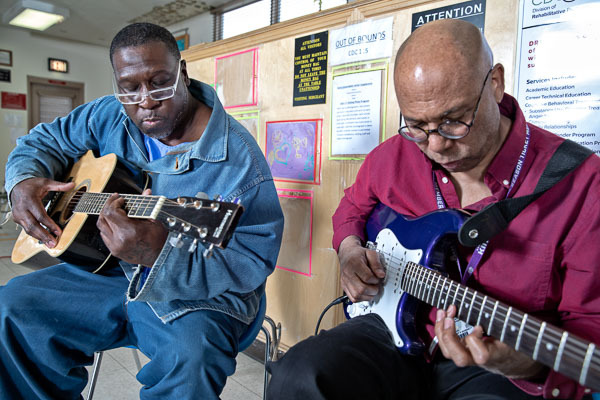 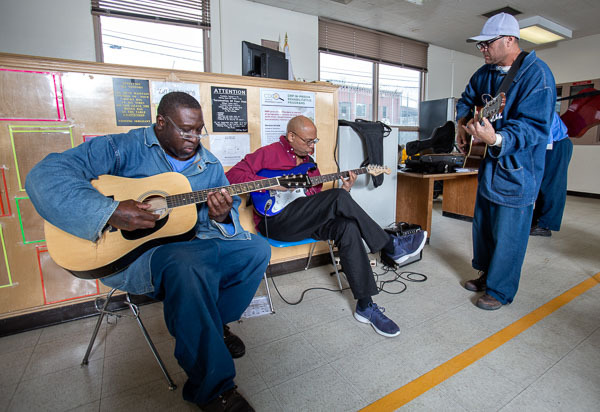 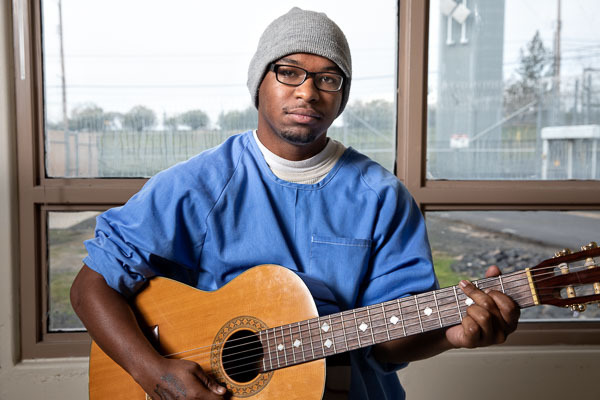 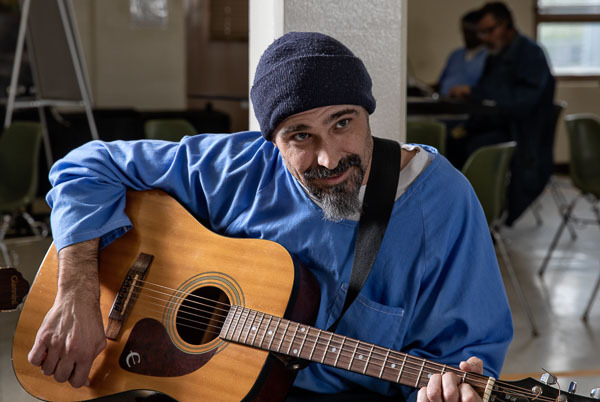 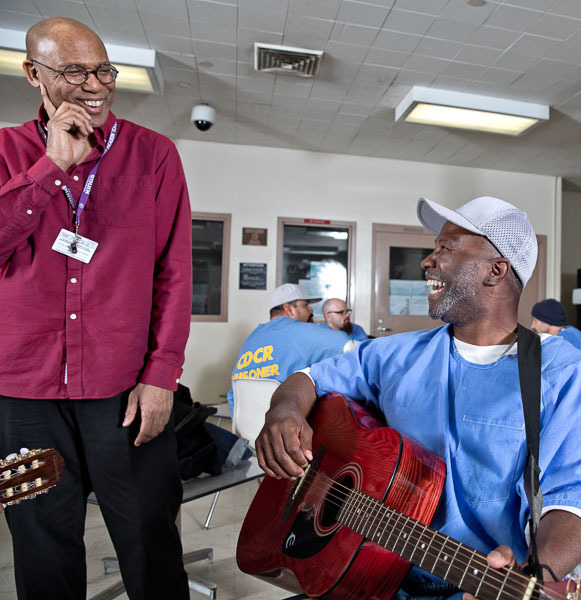 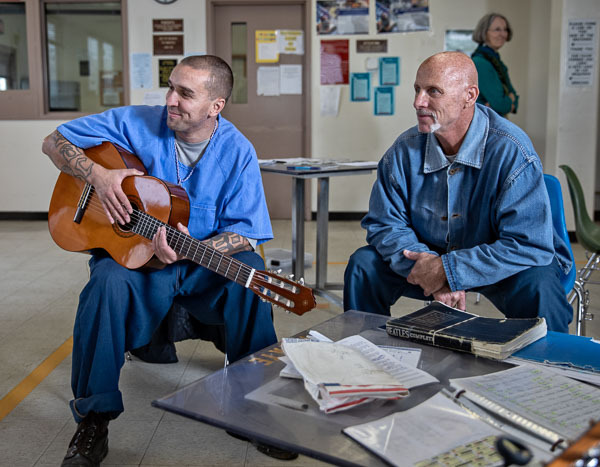 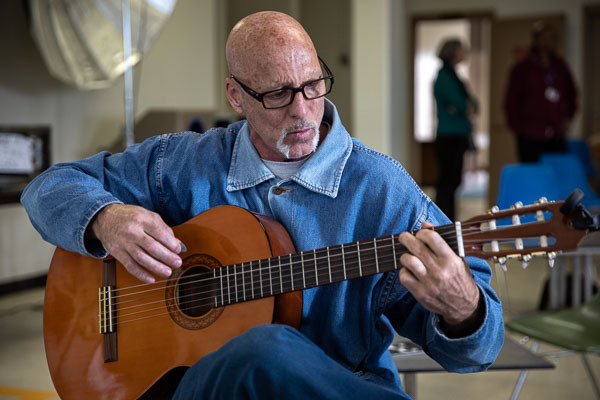 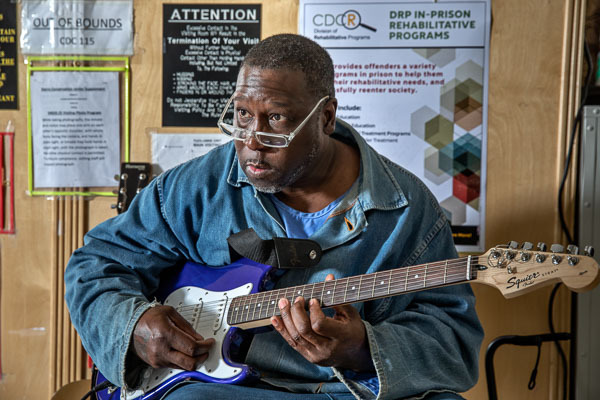 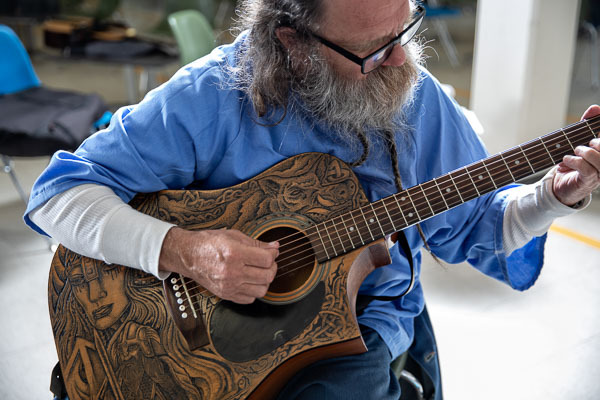 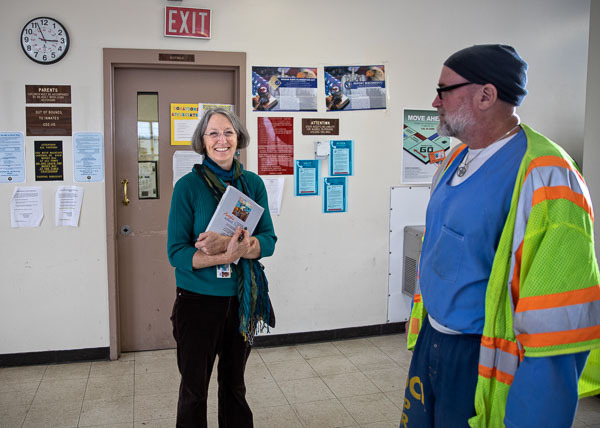 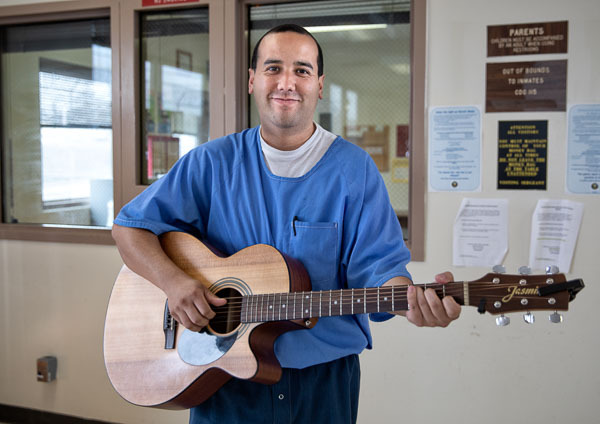 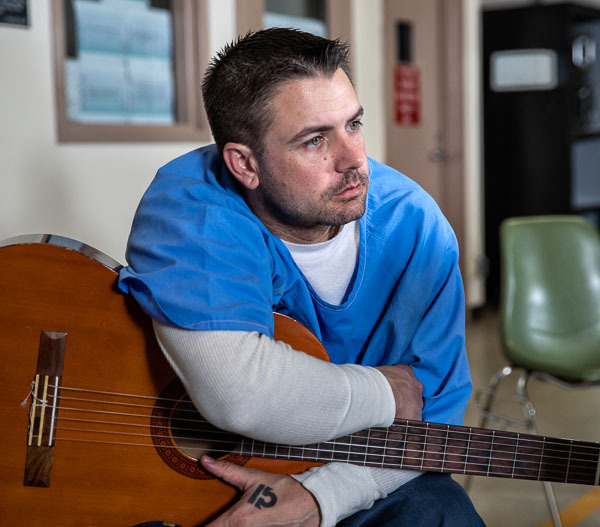 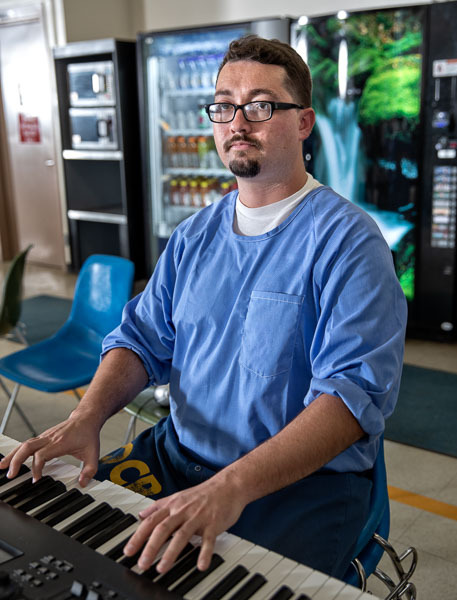 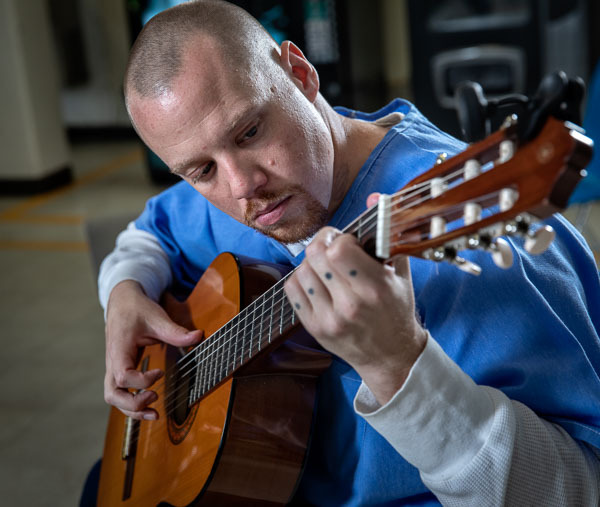 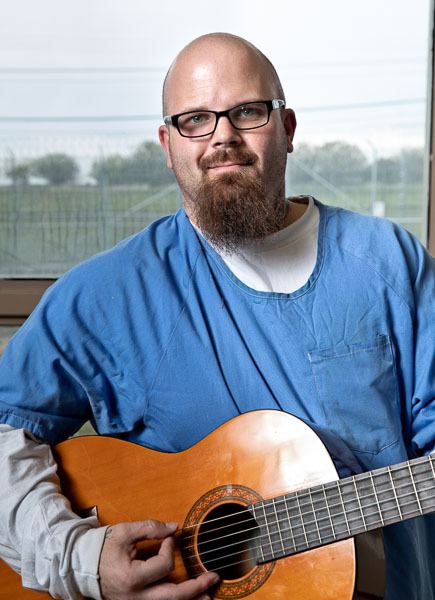 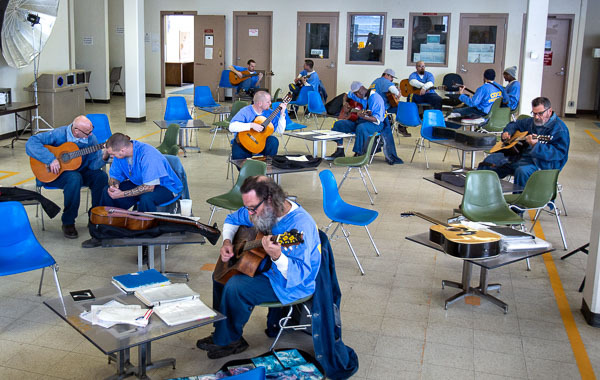 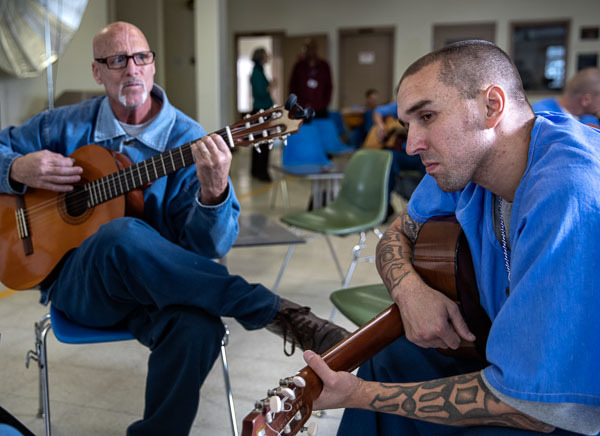 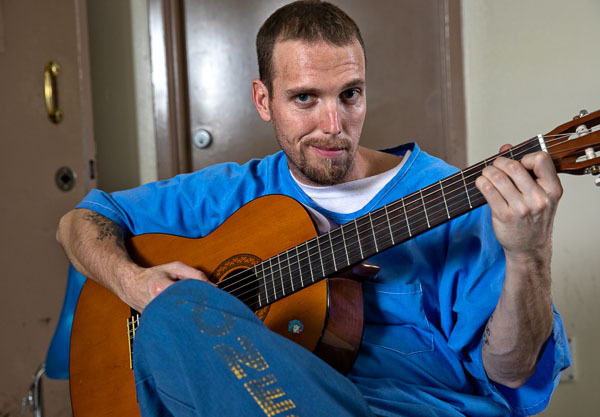 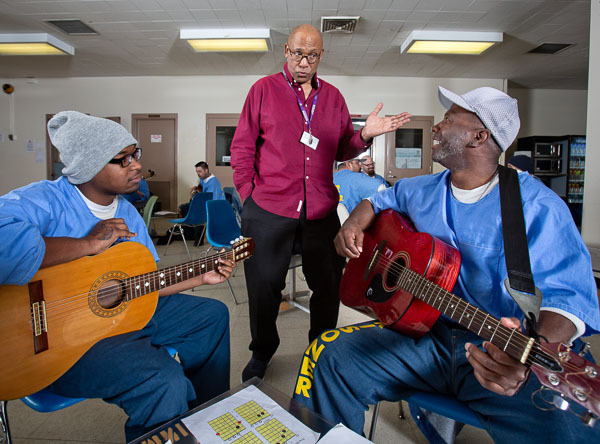 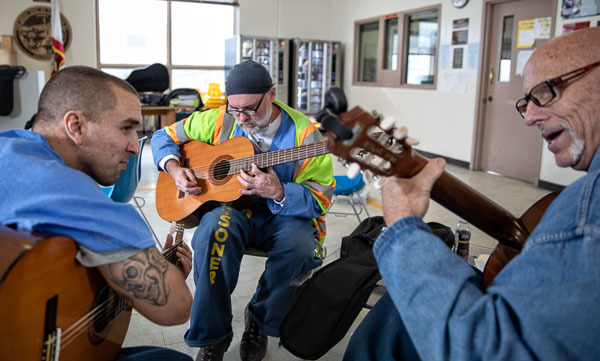 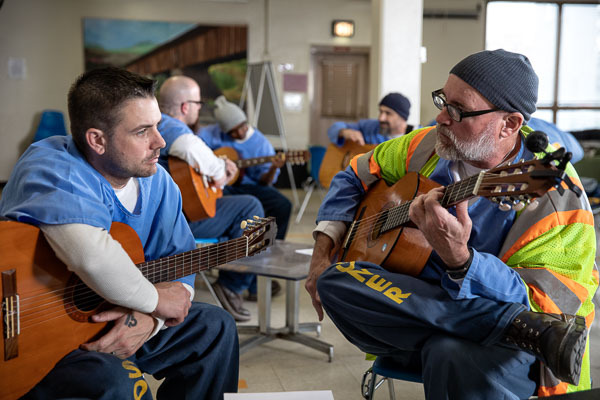 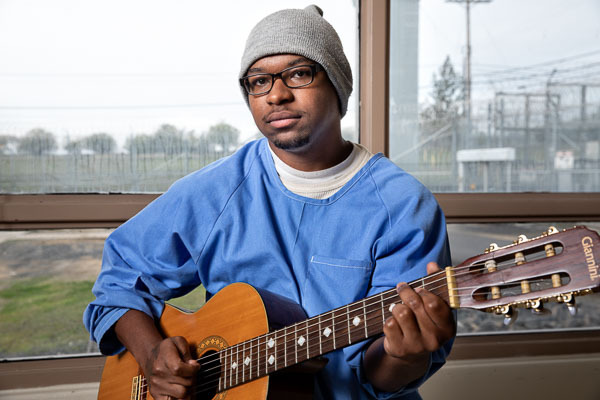 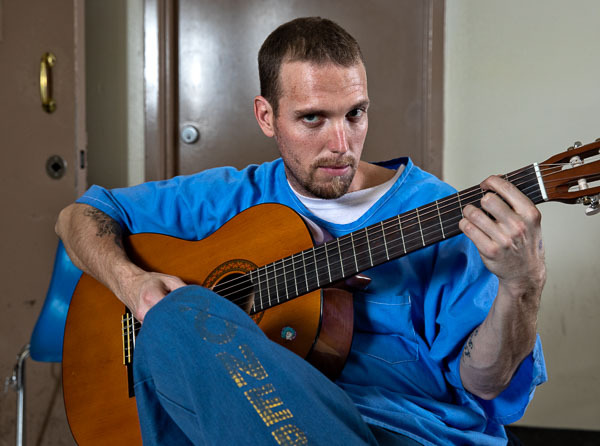 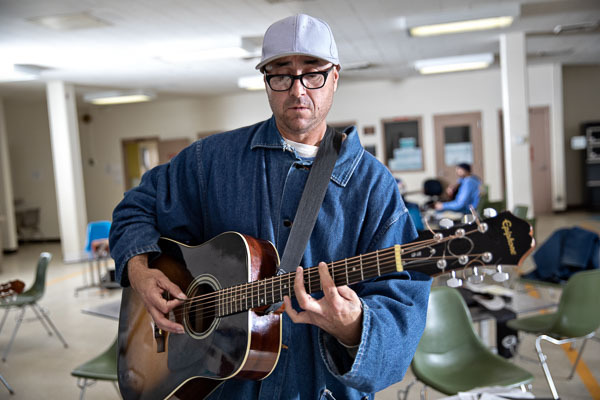 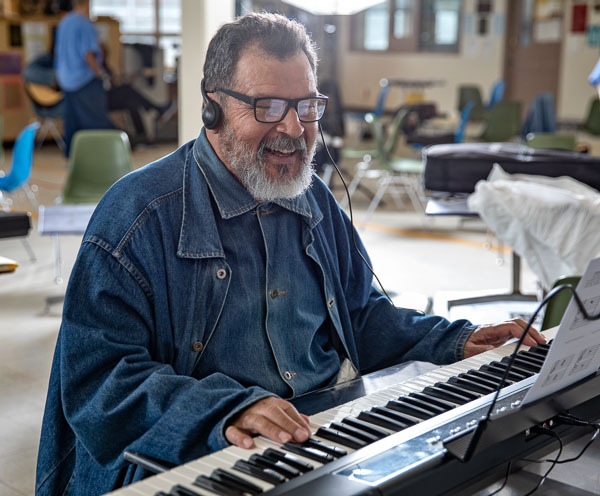 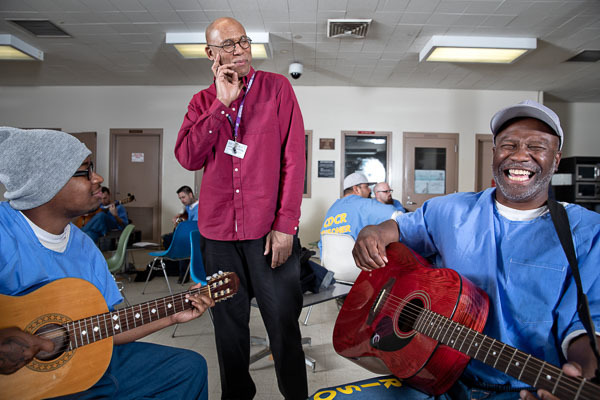 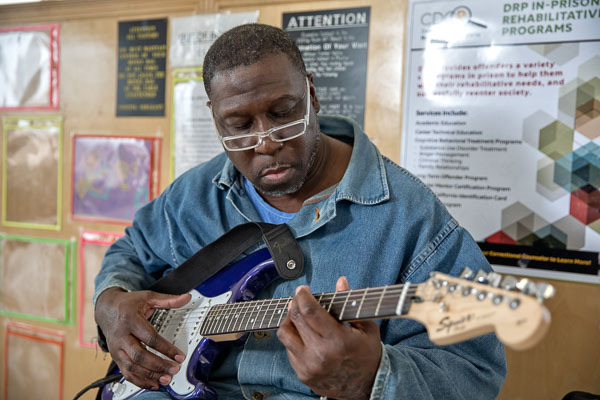 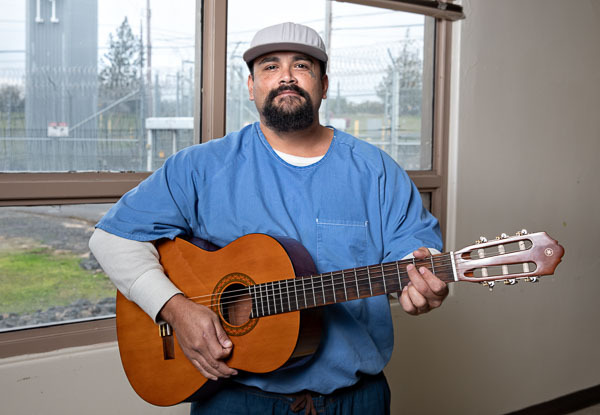 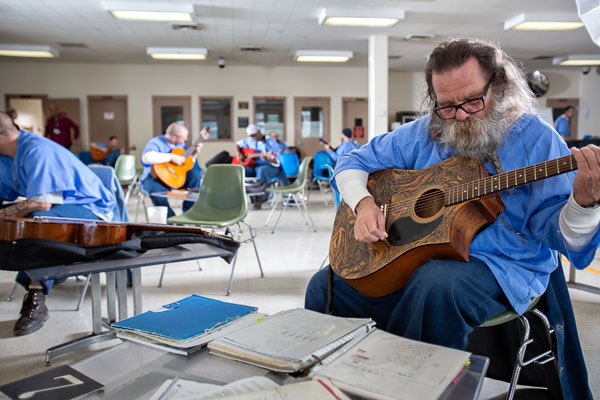 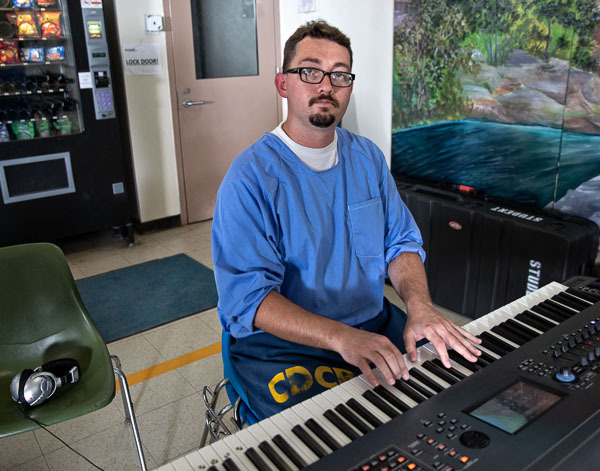 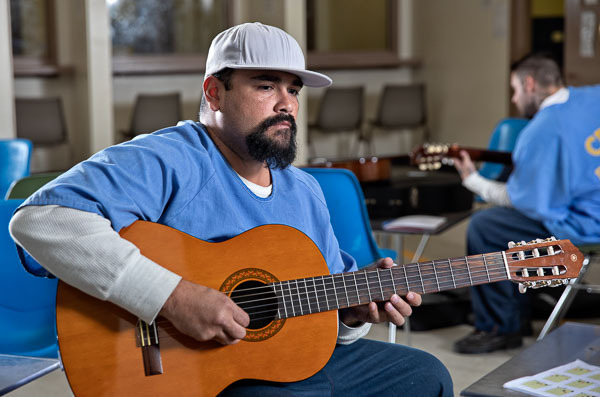 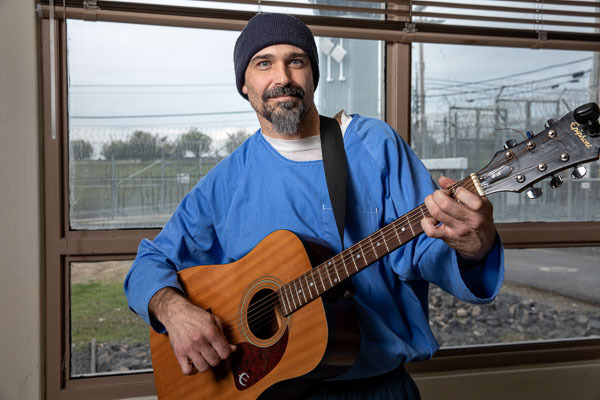 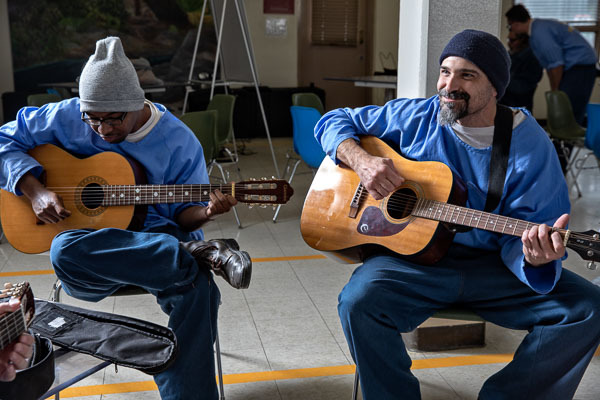 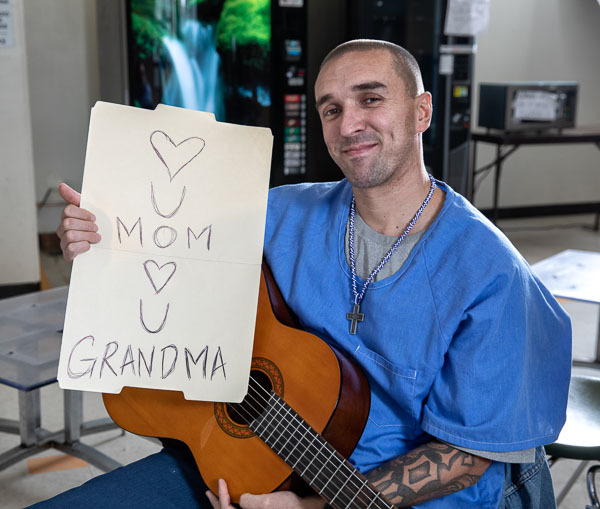 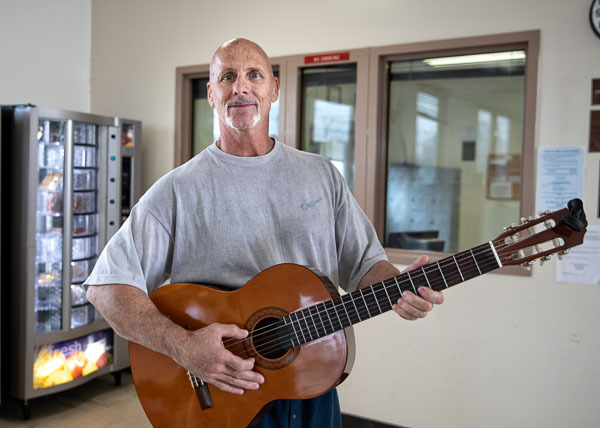 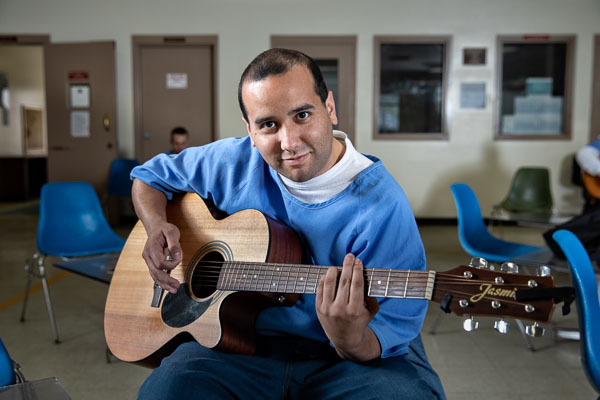 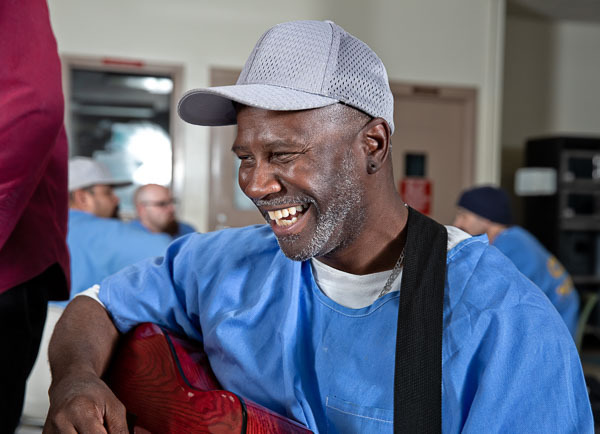 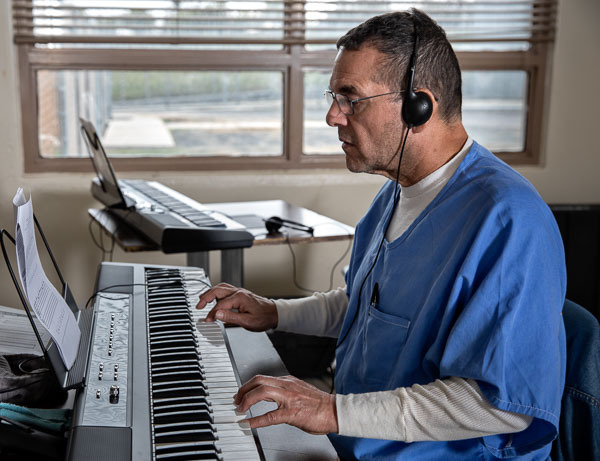 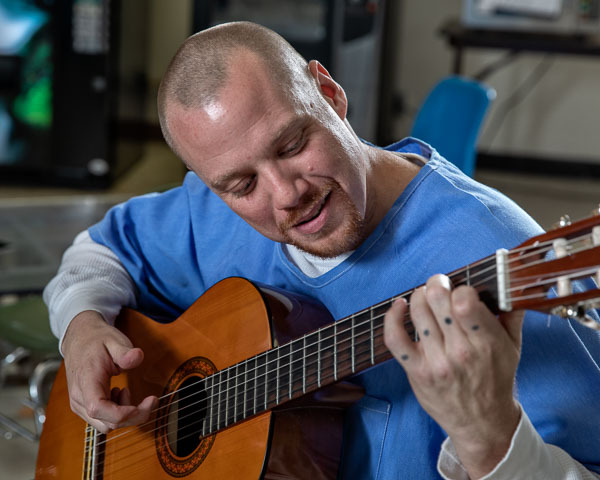 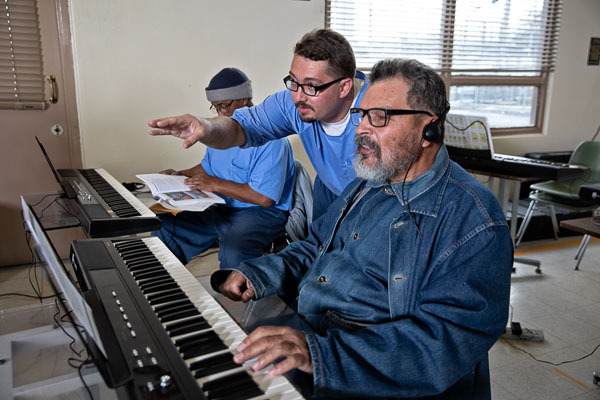 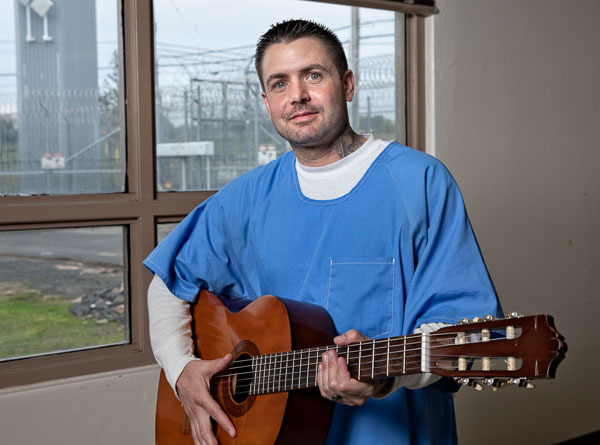 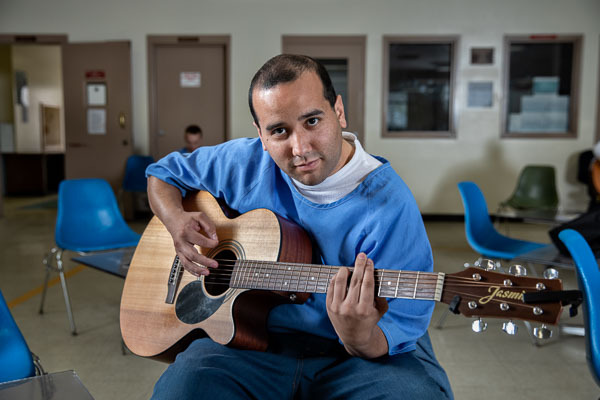 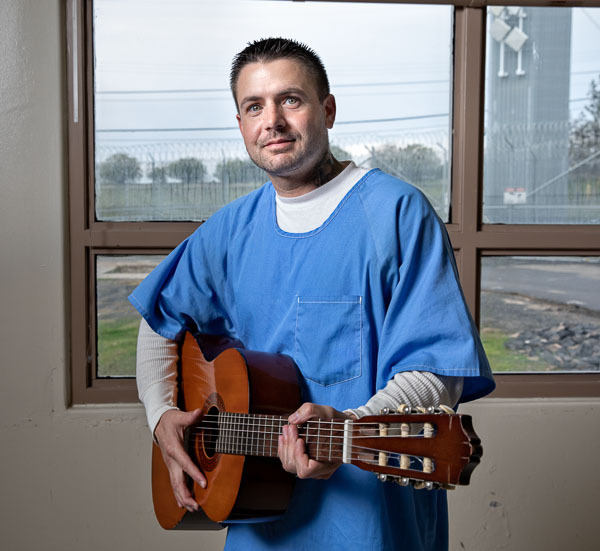 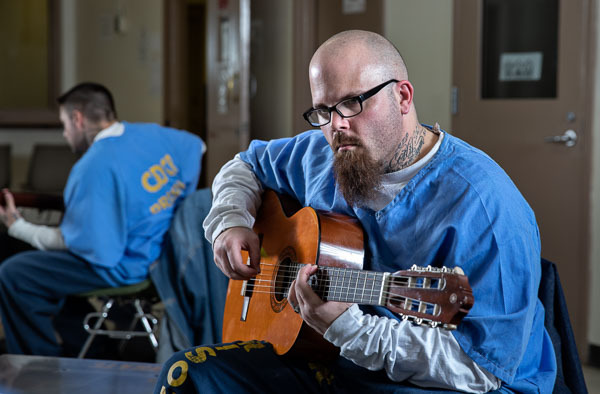 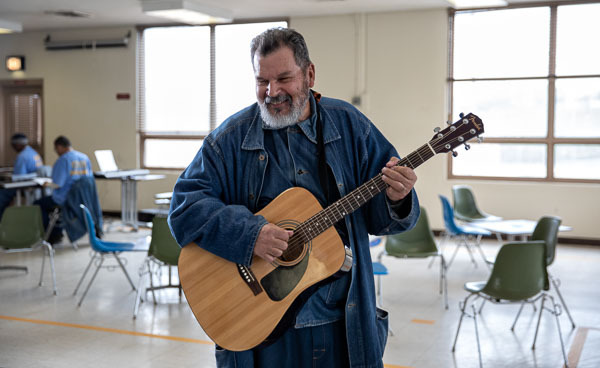 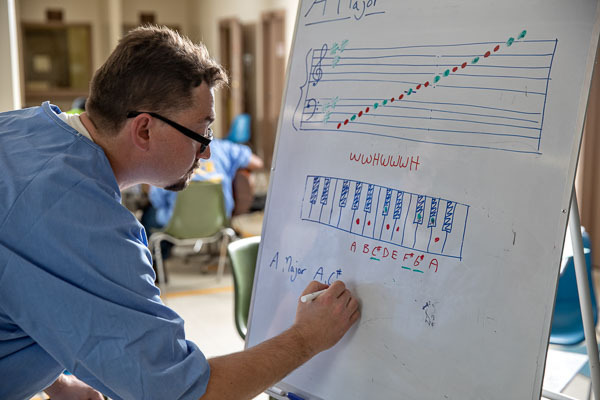 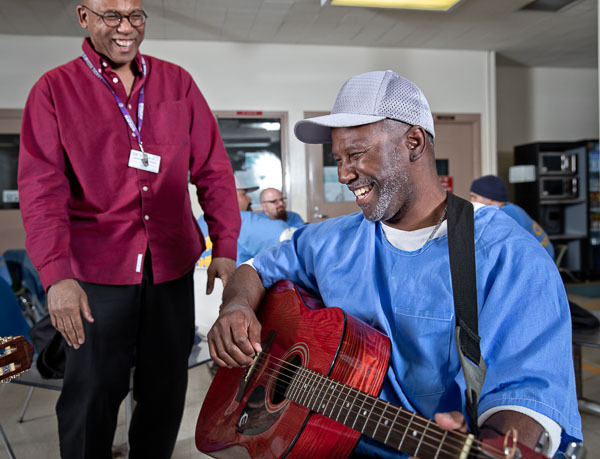 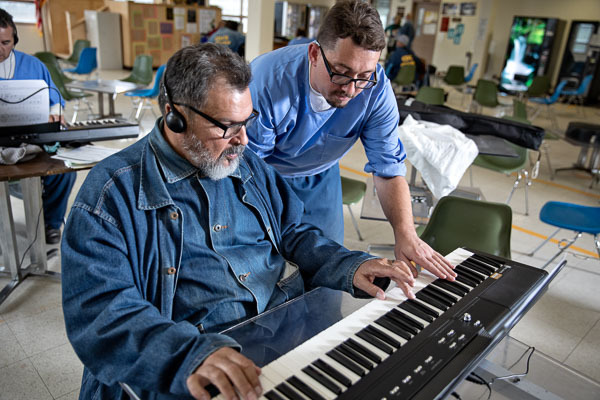 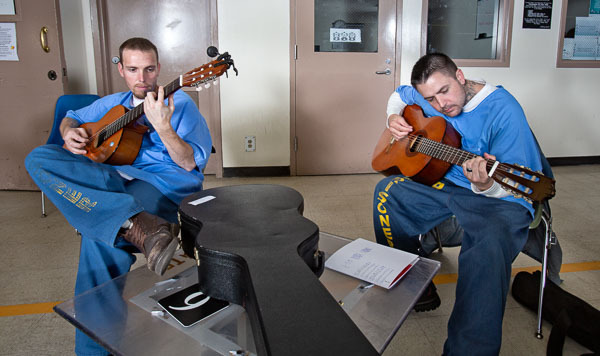 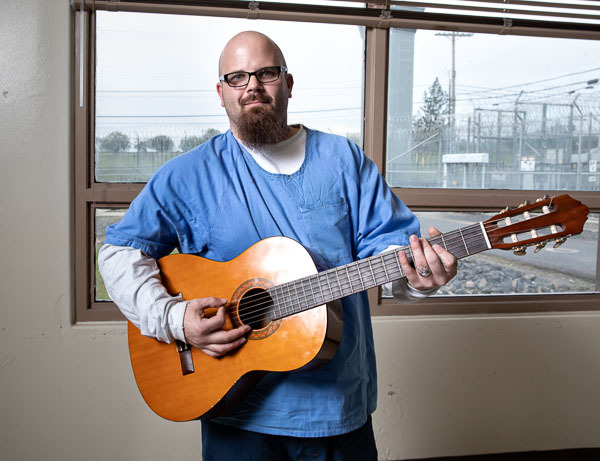 The keyboards class, which takes place at the same time in the same visiting room, is led by inmates. 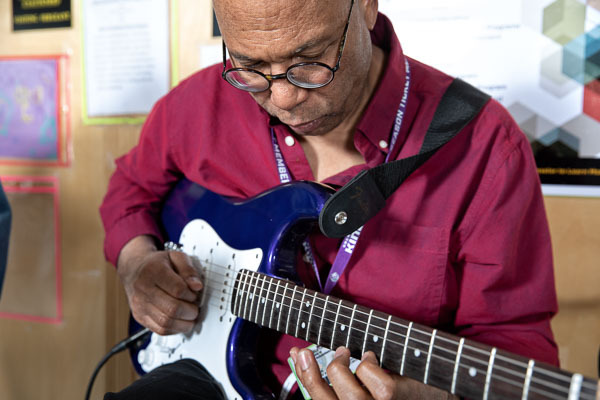 The students’ musical experience varies widely in both of these classes; the more advanced students spend considerable time coaching the beginners.